A short boat ride along the Colorado River! You will stand up high, and gaze thousands of feet down below, enjoying the spectacular vistas at Eagle and Guano Points, amongst others. Lunch is served by the Hualapai Indians on the edge of the Canyon! 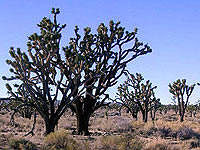 The tour passes through one of the oldest and largest Joshua tree forests in the world. You will be picked up at your Las Vegas hotel at about 7 a.m. for your Grand Canyon West Rim tour. The West Rim is a lot closer to Las Vegas than the North or South, and you will be away for about 12 hours. Leaving Las Vegas, the first stop is a photo opportunity at the mighty Hoover Dam. You will leave the main highway, and meander through the desert, passing alongside one of the largest and oldest Joshua Tree forests in the country. The scenery is both beautiful and desolate. The West Rim of the Grand Canyon is home to the Hualapai (pronounced wal-a-pie) Native Americans. Their reservation encompasses some of the most remote land in the United States, and is home to about 1000 tribal members. 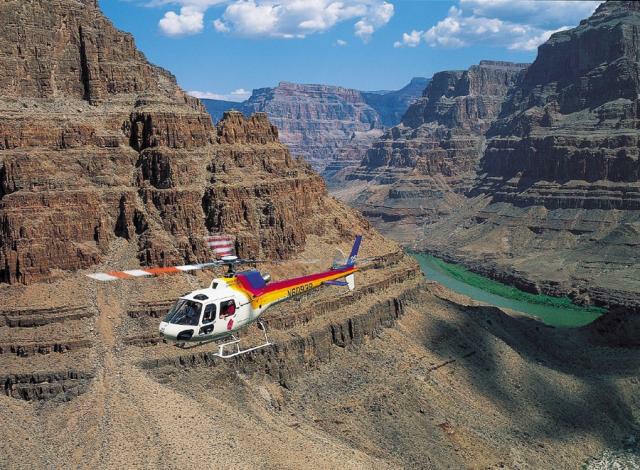 You will board your helicopter and descend 4000 feet into the Grand Canyon. 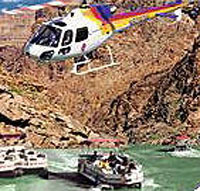 The helicopter will land next to the Colorado River, from where you will walk to the waiting pontoon boat for a 20 minute ride along the mighty Colorado River, through Quartermaster Canyon. The views are both beautiful and awe inspiring, and you will have ample time to enjoy them, before climbing aboard the helicopter again, to rise through the canyon walls to the plateau above. Your Hualapai hosts will be waiting for you with a barbeque lunch, served overlooking a stunning natural vista, surrounded by views of the Canyon and Colorado River. You will have the opportunity to experience authentic Indian culture, and interact with the members of the tribe, as well as to purchase Native American souvenirs and jewelry.